Here's a brief out-line containing foods harmful to your dog. 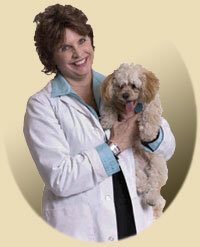 Take a peek for the sake of your dogs health. Some items are very obvious like chocolate, while others maybe might be found in a vegetable garden or an orchard. If your an avid gardener and have any worries about whats safe in the garden, our page on Toxic Plants may be helpful. My dog will fly to the moon for a slice of apple, and is perfectly safe as long as there is no core or stem. Always lean to the side of safety, and educate yourself! contain sulfoxides and disulfides, which can damage red blood cells and cause anemia. Garlic is less toxic than onions. Of course it's impossible to list future foods harmful to dogs, but this is a basic outline. If you believe your dog has ingested a food that may be harmful, contact a Vet.